The selection of villa types is shown below - all villas come with the following features/amenities: A bedroom with seating area featuring an over-sized king bed / Outdoor rain shower & separate shower and bath tub / 42-inch LED TV / iPod docking station / DVD player / Satellite TV channels / Tea & coffee making facilities / Cappuccino & espresso makers / Generously-stocked mini-bar / Personal safe / Golfing umbrella, torch & mosquito repellent / Complimentary toiletries, bathrobe & slippers / Hairdryer / Complimentary in-villa bottled drinking water is provided. Additional information about each villa type is shown in the individual description.  Child Policy (Water Villas & Suites): Due to their open design and proximity to water, the resort strongly discourages guests with children under the age of 12 years from staying in water villas/suites. 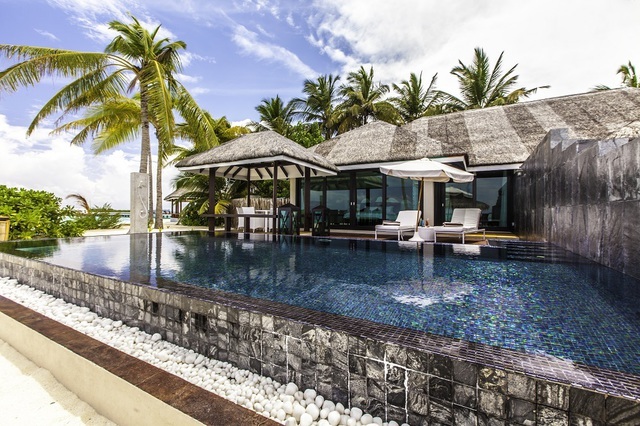 The 48 Reserve Beach Villas each have an area of 77 sqm, characterised by its own garden, teak flooring, a day bed sofa, open-air bathroom and a wooden patio facing the beach (extending from the veranda). 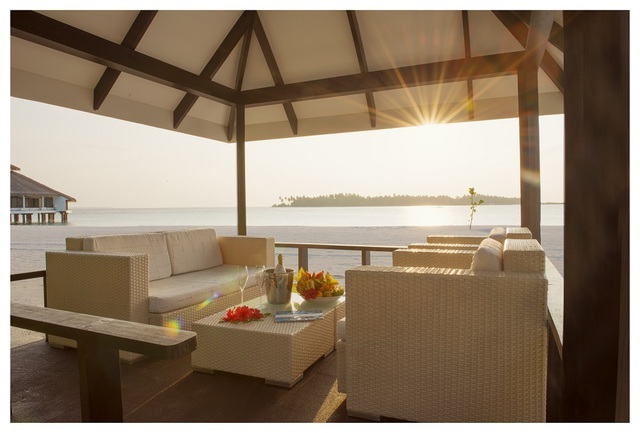 The Reserve Beach Villas are set behind the Lagoon Prestige & Sunset Prestige Pavillion Beach Villas. 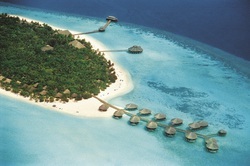 There are 10 Water Villas, each with an area of 150 sqm, erected on wooden stilts in the shallow lagoon. Each one offers a spacious bedroom and a plunge pool on the outside deck where you can enjoy the sound of the waves and be soothed by the gentle ocean breeze. 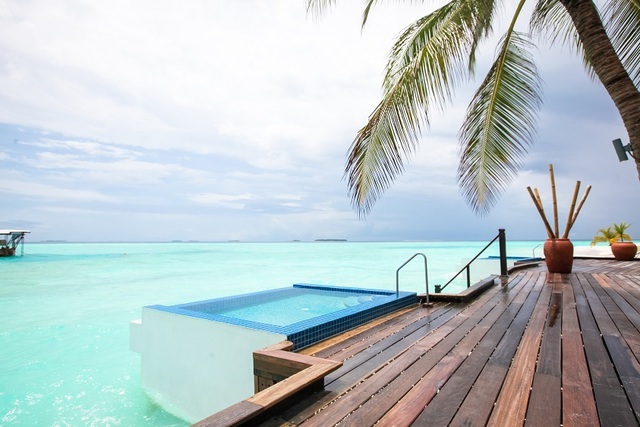 There is direct access from the villa to the clear waters of the ocean below. 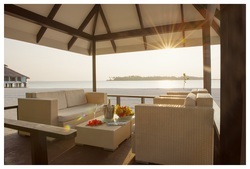 Each of the 18 Sunset Prestige Pavilion Beach Villas has an area of 110 sqm. 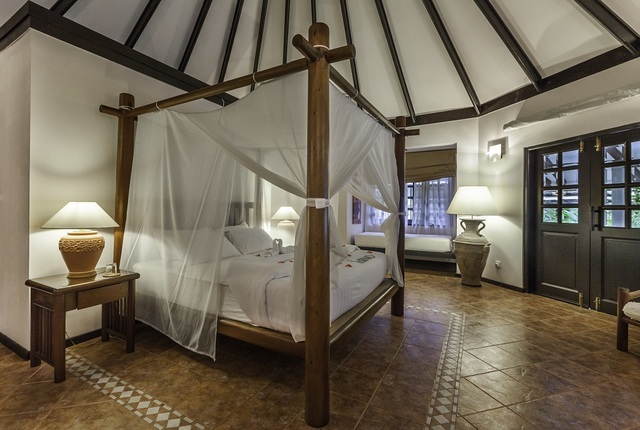 These elegantly rustic villas have teak flooring, a day bed sofa and an open-air bathroom.  Every villa has an outdoor terrace and a private outdoor pavillion offering perfect seclusion, with stunning views of the pristine white beach and the ocean beyond and a lovely vantage point from which to watch the sunset. There are 3 Family Junior Suites each with an area of 250sqm. 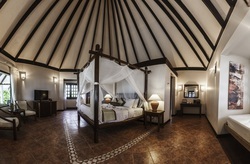 Each suite has its own private veranda, living room and private terrace. The main bedroom boasts a large walk-in closet and en-suite bathroom. The separated living room easily accommodates two additional single beds for the children. Ideal accommodation for families. The 2 Water Suites each have an area of 270 sqm with a large bedroom and spacious, separated living rooms, a jacuzzi for two in the bathroom and an outdoor deck/terrace with private plunge pool (2.43x3m). The Suites are erected on wooden stilts in the lagoon, with direct access to the sea, and offer absolute privacy with wonderful views. The Two Bedroom Family Executive Suite with Pool consists of two adjacent, semi-attached suites, each with a land area of 310 sqm and equipped with a private pool. As well a spacious living room and terrace, each suite contains a second additional guest bedroom with indoor en-suite and outdoor garden bathroom. 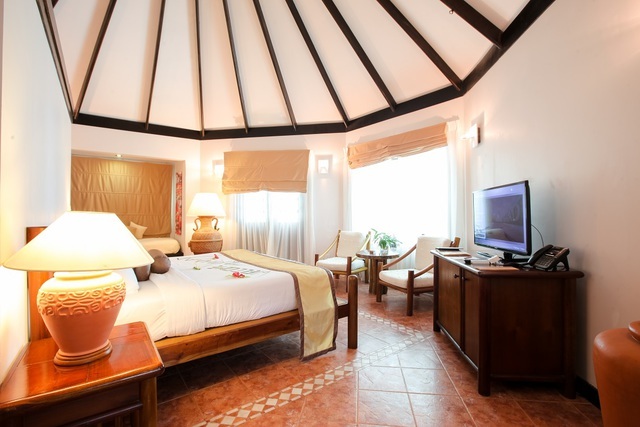 This entire suite offers privacy in the north-west of the island and is ideal for families. 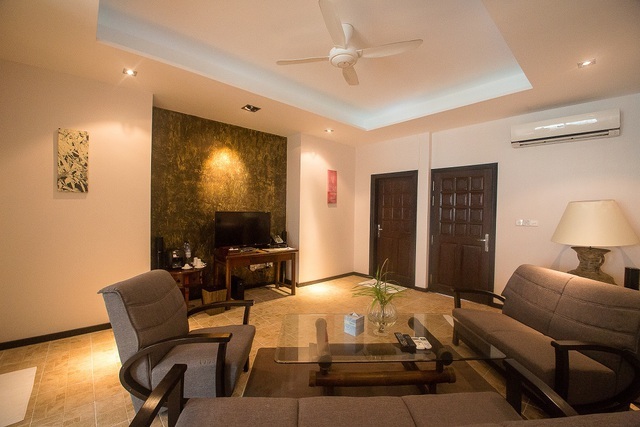 As the second suite of the same category is adjacent, it is possible to book the entire complex - just right for larger families and/or small groups of friends travelling together. 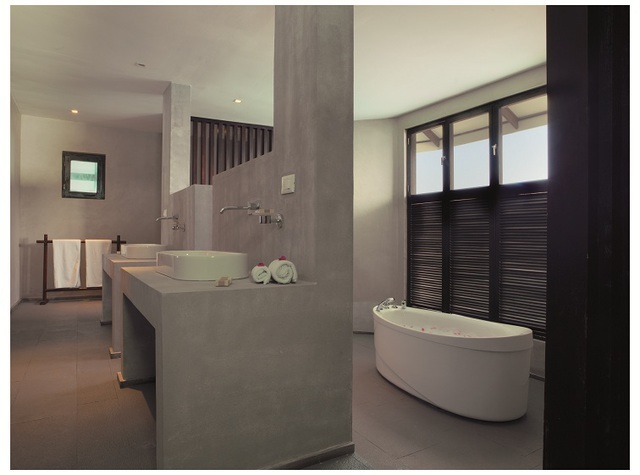 These 3 new villas (77sqm) feature a large living area, separate bedroom with king bed, a bathroom with outdoor rain shower, and a separate shower and bathtub. An external wooden deck with beach chairs links the 3 villas and each villa's private pool is accessed from this deck, overlooking the sea. The terrace for these villas is private and is not shared by neighbouring guests from other room categories. 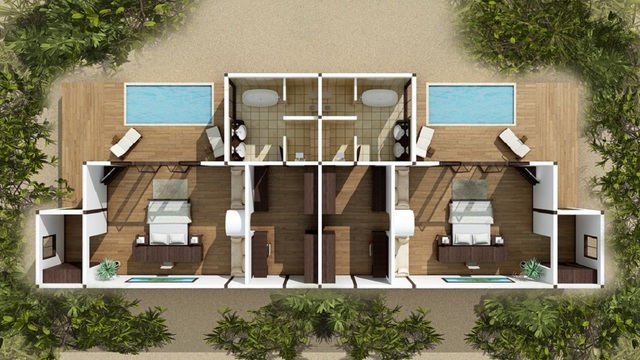 The 4 new Garden Villas with Pool (150sqm) are located more centrally, close to the resort facilities. They feature a bedroom with spacious wardrobe, and a bathroom with bathtub and rain shower. 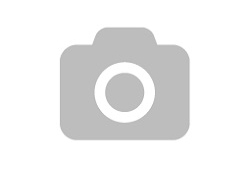 There is a 4.2x2m plunge pool with hardwood deck area inside a private garden area. 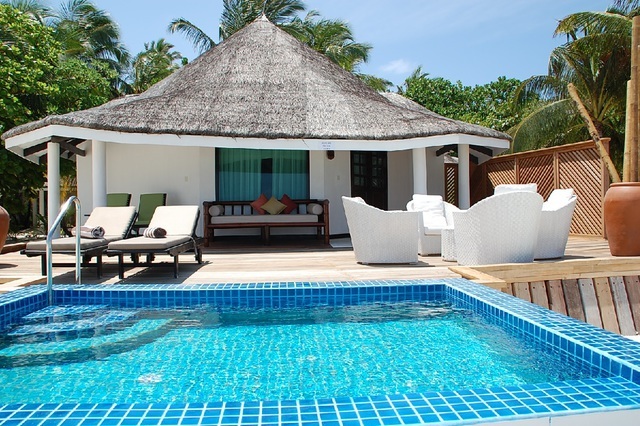 The 2 Maldivian Houses (70sqm) feature one bedroom with king bed, one bathroom with a bathtub and outdoor rain shower plus a living room. 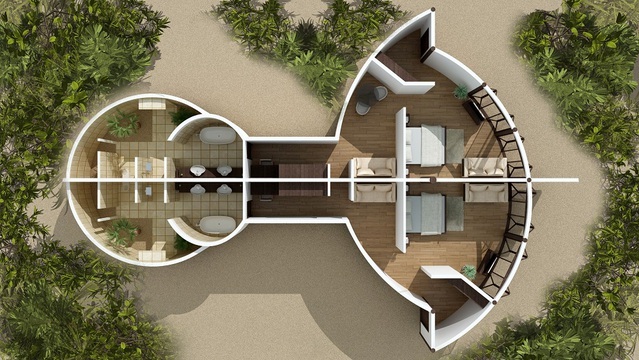 The rooms are designed in with a shell shape. 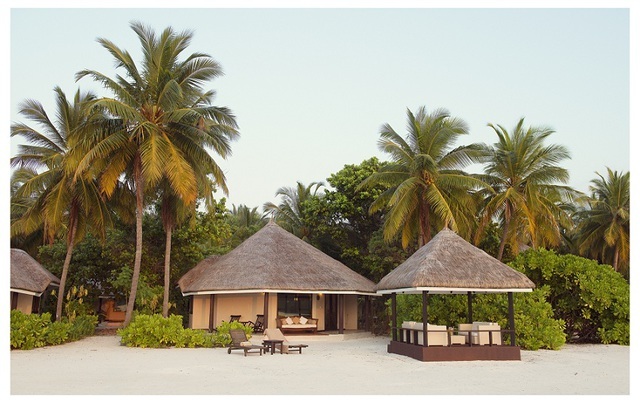 The Maldivian Houses are adjacent to each other, so it's possible to book both for larger parties travelling together. 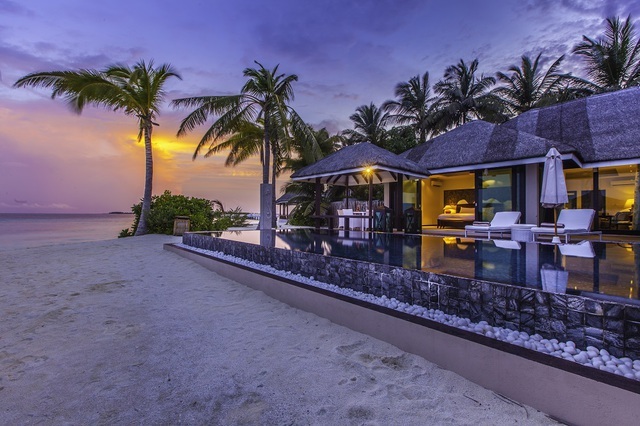 Located in the first row of villas, with direct view and easy access to the beach, the 32 Lagoon Prestige Beach Villas each have an area of 89 sqm. These elegantly rustic villas have teak flooring, a day bed sofa and open-air bathroom. Each villa has its own beach-front outdoor terrace, offering the perfect ocean view - ideal for relaxing and perfect for snorkellers.